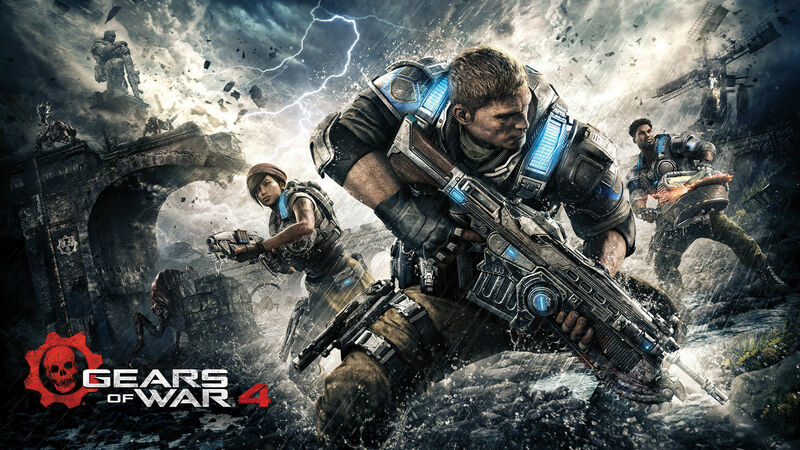 Gears Of War 4 (GOW) came out about 2 weeks ago and if you've bought the game, it may seem a little overwhelming at first if you're not a seasoned, veteran Gears player. I'm sure you've already gotten into a few games where you felt over-matched and out-witted. Well, if you're doubting on whether you've bought the "right" game, continue reading my guide below on some tips to become a better Gears player. Hopefully, you'll stop trudging down the wretched road of defeat and start having fun again. 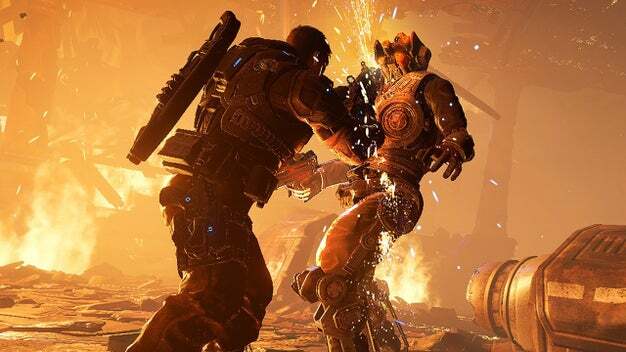 Gears is a game of gaining slight advantages in any way possible. Winning the initial battle when both teams are rushing from their spawns can be crucial to give your team an edge. Unfortunately, I can't count the number of times I get into a match and my teammates run straight across the map, towards the opposing team, and then reach someone they can't fight. THIS IS RECKLESS! By hitting the left bumper on your controller, your screen will go slightly dark and the "Power Weapons" around the map will be highlighted. Make it your top priority for you and your teammates to obtain one of these weapons,(Boomshot, Mulcher, Torque Bow, Drop Shot, Sniper etc.) because they can change the tides in an instant. "Power Weapons" are the easiest way to get Multi-Kills in (GOW). And we love multi-kills. This might seem like an obvious tip, but I have seen far too many times a "Lone Wolf" attempting to charge towards the enemy alone; only to be butchered mercilessly. Now if you're playing with your friends, that makes everything easier because you are communicating with them live and can devise more specific strategies based on the situation. However, if you are alone (and have no friends like me), the best thing to do is enact a "buddy system". Scenario A: If he loses in a 1 v 1 shotgun duel you can come in and clean up. Scenario B: If he's getting double-teamed, you can "down" the guys who attempt to mindlessly charge him. Scenario C: On the flip side, if you seem to be getting outnumbered, you can fall back to your "buddy" and get his help. Obviously, you want to keep a little spread out due to the explosive nature of GOW weapons, but there are only positives on having someone "watch your 6". I could've also titled this, BE PATIENT and DON'T PANIC which gets the point across a little better. Basically, GOW can be a very chaotic game, you'll see the opposing team moving quickly to cover almost all game. They will be constantly exchanging fires with your teammates and using Power weapons to rain down more havoc down on you. Don't let it overwhelm you. Move through your targets one by one. Letting the opposition come to you is always the safest and generally most effective strategy. Let them put themselves in exposed positions so you can pick up the easy Lancer kill. When you get in the 1 v 1 Gnasher "Mexican Standoff", try stunning your opponent with your smoke grenade before you move in for the kill. Just by pressing forward on your left stick, your character will move forward at a slow jog. In order to move more professionally, you need to be holding and tapping the "A" button constantly. Holding "A" will get your character to start doing the "Roadie run", which is essentially a crouching sprint. It allows you to move quickly while still remaining mostly covered. Use it to move up to cover in front of you when advancing, and when retreating, use it to make a sneaky getaway from a sticky situation. Also tapping "A" will make your character roll forward, which can be useful to dive away from an incoming boom shot or get the jump on an opposing player hiding in cover. Wall bouncing is the main skill you need to master in order to become a great GOW player. By tapping "A" while moving towards a cover, your character will slide behind quickly against it. The developers have nerfed the effectiveness of wall-bouncing since the original GOW, but it is still extremely useful and works well. Needless to say, if you can slide to cover while you are moving towards or away from an enemy, it makes you much harder to hit. GOW pros know how to wall bounce in 1 v 2 gnasher battles in order to dodge shots from multiple enemies. The age old Lancer Vs. Gnasher question. You might think it is fairly straight-forward: The Lancer is a medium-long range rifle and the Gnasher is a shotgun -which obviously means it's a close quarters weapon. However, knowing the right situation to use one or the other could be a life and death predictor. I've found that if you are to favor one, you should go for the Lancer. But that doesn't mean the Gnasher doesn't have its usefulness. When you are attacking an enemy, having the gnasher handy is your best bet. It can easily dispatch foes with one shot, and the sheer intimidation factor of watching one's teammate get disintegrated will often force the opposition to fall back. Despite its usefulness, I believe people tend to favor the gnasher too much. The Lancer is the weapon you want to have out most of the game. When defending a position, the lancer allows you to put constant damage on advancing opponents who don't seek cover quickly. It is also great to cover your teammates moving forward, as an opponent who is taking damage from the Lancer will either go down or become an easy target for a Gnasher disintegration. 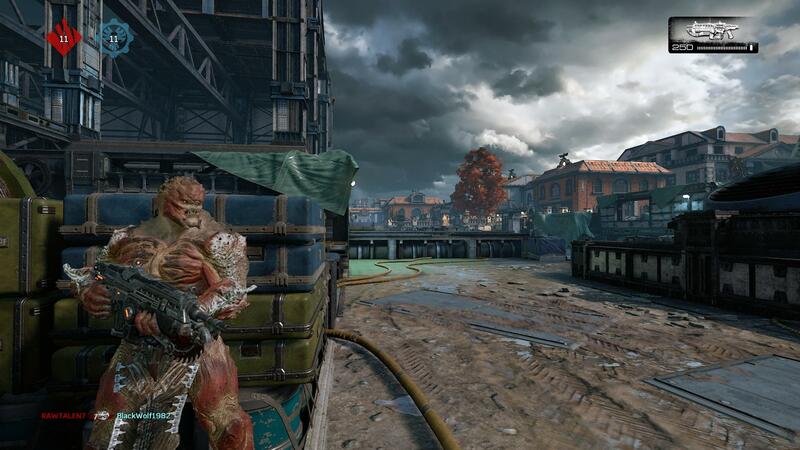 If you are using your Lancer and your opponent is using the Gnasher, in a 1 v 1 situation, you have the advantage (unless your opponent is extremely proficient with the Gnasher). Essentially, the ability to put constant damage on your opponent gives them a very small opportunity to get an accurate shotgun shot off. This also gives you a chance to try out all of the new Executions! If you have more tips and tricks to become a better GOW player, let me know in the comments below!